This section contains information and memorabilia on the elections from 1832 to 1872. Scroll down the page to learn more about specific election years. For the first time, the major political parties held national conventions to nominate their candidates. 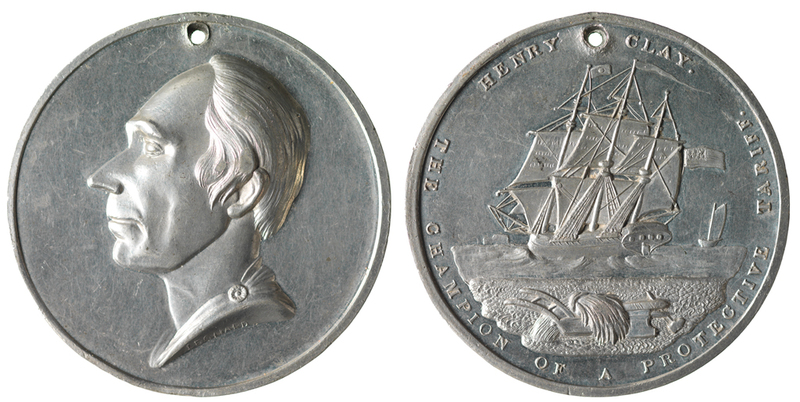 Democrat Andrew Jackson was again nominated and was opposed by National Republican Henry Clay. Another first was the presence of a third party candidate for president. William Wirt was nominated by the Anti-Masonic Party, whose platform was opposed to freemasonry as a secret organization of privileged, wealthy men seeking to rule the country. 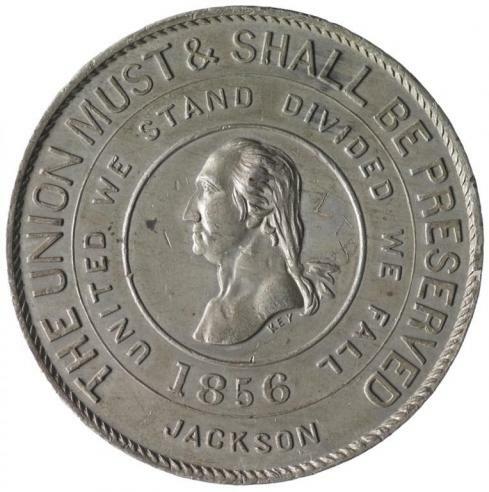 The major issue of the campaign was President Jackson’s veto of a bill to extend the charter of the U.S. Bank. Jackson felt that the U.S. bank controlled the economy and favored the wealthy. His veto was strongly criticized and opposed by Clay, who supported a strong federal government in economic affairs. Clay had actually raised the issue of the bank’s re-charter, knowing that Jackson opposed it. Because some Democrats favored re-charter, Clay hoped the issue would split Jackson’s party. Most ordinary Americans, however, supported Jackson. He won reelection easily when he received 219 electoral votes to 49 for Clay and 7 for Wirt. Virginia cast its 23 electoral votes for Andrew Jackson. By the time of the 1836 election, the National Republican Party had been replaced by a new party consisting of former Republicans, anti-Masons, and anti-Jackson Democrats. Their common interest was opposition to Andrew Jackson’s policies. 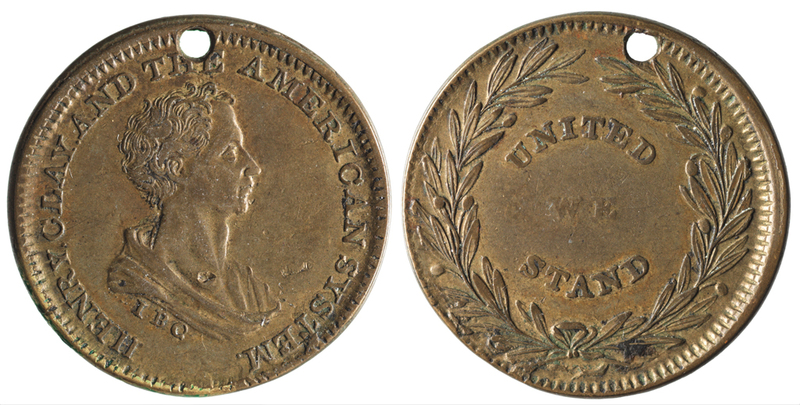 Taking its name from an English party that had opposed King George III during the American Revolution, this new Whig party united against “King Andrew I” (the label given to Jackson by his opponents). President Jackson decided not to run for a third term and instead endorsed his current vice president, Martin Van Buren. 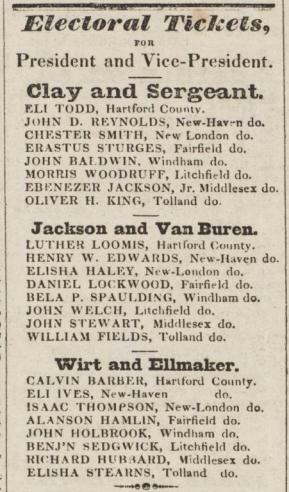 Despite some opposition from the southern wing of the party, the National Democratic convention nominated Van Buren for president and Richard Johnson for vice president. As the election approached, the new Whig party was not yet firmly organized and could not agree on a specific candidate. Instead, it decided to run “favorite son” candidates in different regions of the country. 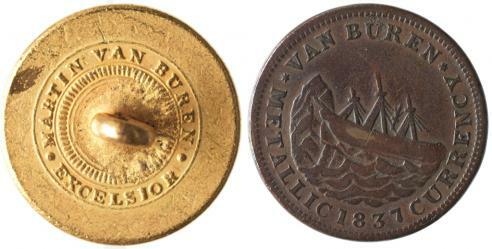 The plan was to secure enough electoral votes to prevent Van Buren from receiving a majority. The election would then go to the House of Representatives, where the Whigs could unite behind one candidate. State legislatures nominated Daniel Webster in the northeast, William Henry Harrison in the west, and Hugh White in the south. Although Van Buren lacked the popularity that Jackson had enjoyed, he easily defeated the three Whig candidates, receiving 170 electoral votes to their combined 113 (Harrison had the most with 73). The controversial Richard Johnson did not win the majority of the electoral votes for the vice presidency. Under the 12th Amendment, for the only time in American history, the Senate chose the vice president. Johnson was elected over Whig candidate Francis Granger. Virginia cast its 23 electoral votes for Martin Van Buren. 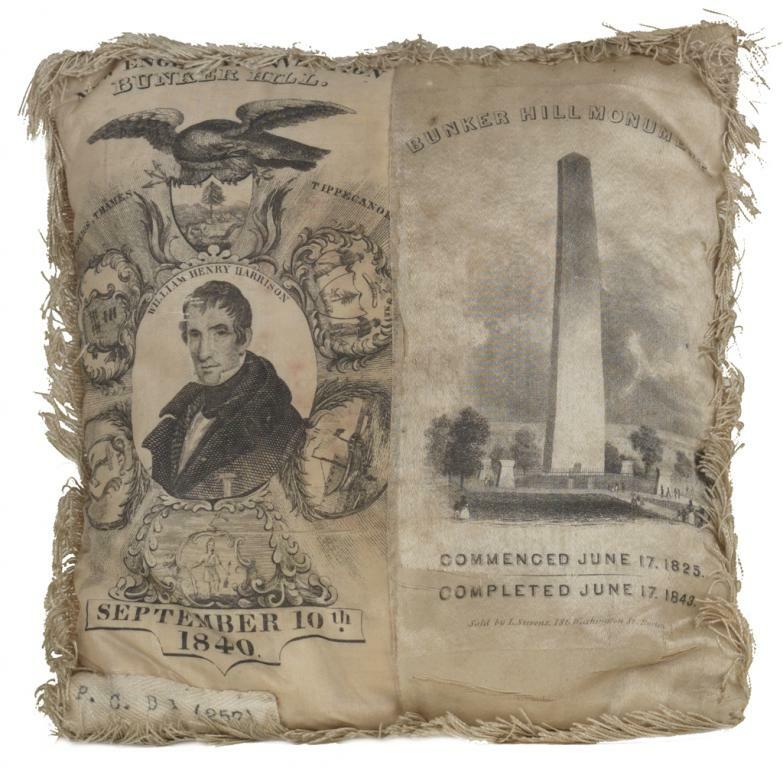 In a national convention, the Whig Party united to nominate William Henry Harrison, who had been its most popular candidate in the 1836 election. Despite a severe and prolonged economic depression that had plagued his first term in office, President Martin Van Buren continued to have the support of the Democratic Party. The antislavery Liberty Party nominated James Birney as its candidate. Harrison’s nickname, “Old Tippecanoe,” came from his victory over the Creek Indians at the battle of Tippecanoe in 1811. 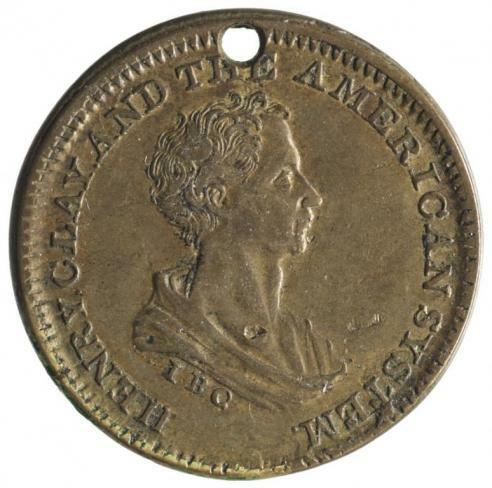 The result of the nomination of John Tyler for vice president was a rhyming campaign slogan: “Tippecanoe and Tyler Too." The opposing Democratic Party made a huge tactical blunder when it attacked Harrison’s character. A Democratic newspaper article joked that he would be content to quit the race and retire to his log cabin for a pension and a barrel of hard cider. 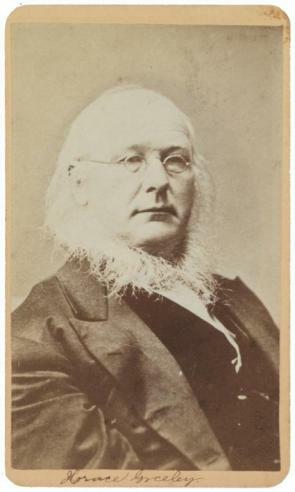 Even though the Harrison came from an aristocratic Virginia family and currently lived in a mansion in Ohio, the Whigs turned this comment into a campaign symbol and began to promote its candidate as a common “man of the people” who lived in a log cabin and was always ready to greet visitors who ventured by with a cup of refreshment. Harrison became the first candidate to give speeches on his own behalf, but he confined himself to talking about his military career. As opposed to its candidate’s rustic image, the Whigs mocked Van Buren as an effete dandy who drank from gold goblets in the White House while the people suffered from hard times. Because Van Buren was too well known, the Democrats could not project the same “common man” persona for their candidate and were unable to compete with this new type of campaign strategy. More people voted in this election than in any previous one (80 percent of eligible voters). Harrison received 234 electoral votes to 60 for Van Buren. After only a month in office, however, Harrison caught pneumonia and died. There were no constitutional guidelines for succession after the death of a sitting president, so John Tyler merely assumed the full powers of the president, thus establishing the precedent that the vice president would actually serve as president rather than as acting temporary chief executive until the next election. Virginia cast its 23 electoral votes for Martin Van Buren. 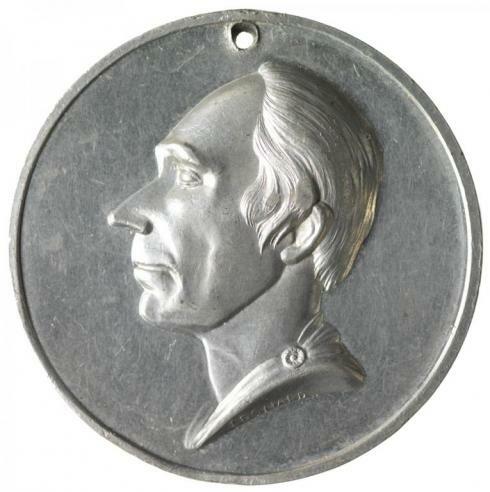 The Whig Party nominated Henry Clay for president in 1844. This was Clay's third attempt, each time representing a different Party. Martin Van Buren was the early favorite for the Democratic nomination, but he failed to get the necessary two-thirds majority on the first ballot of the convention. It took nine more roll calls before the Democrats decided on James K. Polk, the country’s first “dark horse” or unexpected candidate. The antislavery Liberty Party, which had received some popular support in the 1840 election, again nominated James Birney. The major issue of the campaign was territorial expansion, which included annexation of Texas and occupation of the Oregon territory (with the slogan "54 40 or Fight" indicating the latitude boundary that the United States desired in dispute with Great Britain). Texas, which had gained independence from Mexico and had become a separate republic in 1836, wished to join the United States. Although the South was in favor of this, there was opposition in the North to the prospect of adding another slave state to the Union. Sectional tensions began to appear in a national election. Initially, Henry Clay was opposed to Texas annexation, claiming that it might lead to another war with Mexico. In an effort to appease both southern and northern voters, he tried to compromise on the issue by modifying his position to allow annexation if "done without dishonor, without war." This angered antislavery northern voters. On other issues, Clay continued to promote the protective tariff, national bank, and his "American system" of internal improvements. James Polk and his Democratic supporters felt it was the country’s "Manifest Destiny" to expand westward. They believed that the addition of Oregon to the United States as a free territory would offset the annexation of Texas as a slave state. In a close race, Polk defeated Clay with 170 electoral vote to 105. 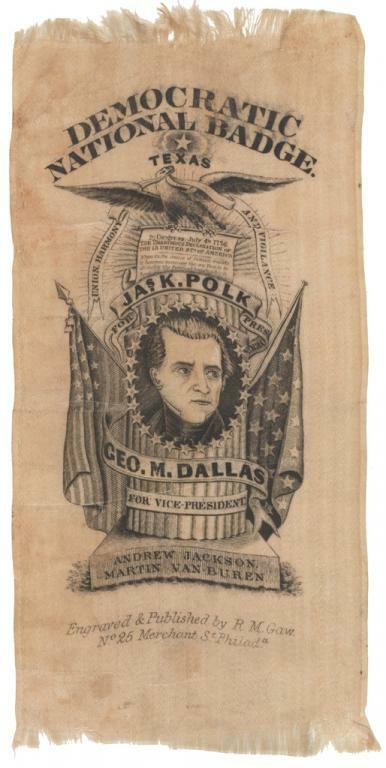 Polk's margin of victory, however, was only 40,000 out of the 2.7 million popular votes cast. Clay’s waffling on the Texas annexation issue and the loss of abolitionist votes to the Liberty Party may have cost him the election. Virginia cast its 17 electoral votes for James Polk. The annexation of Texas had led to a war with Mexico. The result was a treaty that ceded the territories of New Mexico and California to the United States. In a compromise with Britain, the Oregon territory was also obtained with the northern boundary set at the 49th latitude line.Consequently, the major issue of the 1848 campaign was whether slavery should be extended by law into the newly acquired territories. 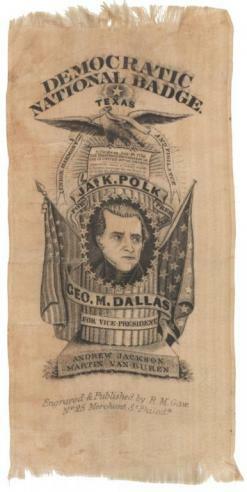 As he had promised, President James Polk declined to run for a second term. The Democratic Party, which was deeply divided on the slavery issue, nominated Lewis Cass on a platform that advocated the principle of popular sovereignty, which allowed the people living in the new territories to decide for themselves whether or not to permit slavery. 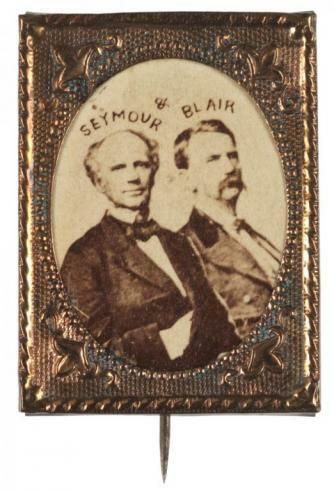 A faction of the Democratic Party, known as the “Barnburners,” that was vehemently opposed to slavery and the Cass platform joined with others to form the Free Soil Party. Nominating Martin Van Buren as its candidate, the Free Soil Party opposed the extension of slavery in federal territories or new states. The Whig Party once again turned to a military war hero as its candidate. Zachary Taylor, nicknamed “Old Rough and Ready,” was unknown politically. He had won a series of victories in the Mexican War, and as a southerner and slaveowner, Taylor attracted the southern vote. 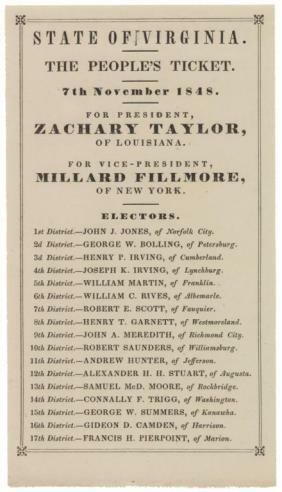 To balance the ticket, northern ex-Congressman Millard Fillmore was nominated for vice president. The election result was a Taylor victory by 163 electoral votes to 127 for Cass. Taylor received 47 percent of the popular vote to 42.5 percent for Cass and 10 percent for Van Buren. The vote for Taylor and Cass was almost equally divided between existing slave and free states. The Free Soil Party took away some northern votes that might have gone Democratic. Virginia cast its 17 electoral votes for Lewis Cass. In 1850, Vice President Millard Fillmore assumed the presidency when President Zachary Taylor died, apparently from gastroenteritis. During Fillmore’s term, Henry Clay offered the Compromise of 1850 in an effort to solve the territorial slavery problem. Among its provisions were the admission of California as a free state and the end of the slave trade in Washington D.C. To appease the South, there were stricter fugitive slave laws requiring the return of runaway slaves to their masters. Allowing for popular sovereignty, Utah and New Mexico were organized as territories without mention of slavery. Although both major parties’ platforms endorsed the Compromise of 1850, each side had difficulty in selecting a presidential nominee. The Whig Party, bypassing potential candidates Daniel Webster and President Fillmore, took 53 ballots to select another military hero as their candidate. 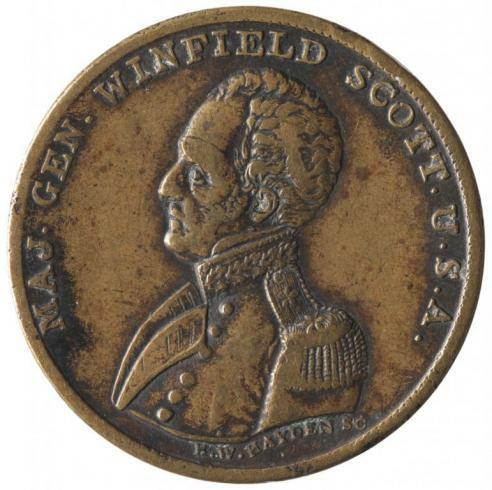 General Winfield Scott had been a successful commander in the Mexican War. 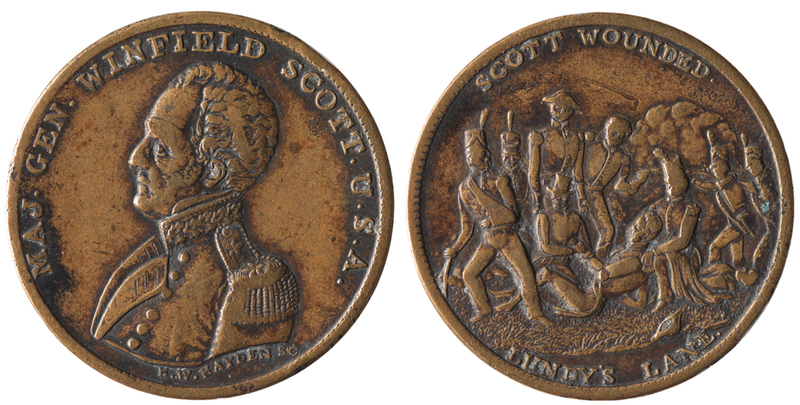 Although Scott promised strict enforcement of the Fugitive Slave Law, the Whigs could not unify their party on this issue. Among the potential Democratic nominees were Stephen Douglas, James Buchanan, and Lewis Cass. After 49 ballots, the Democrats again selected another “dark horse” candidate. Although he was a northerner opposed to slavery, Franklin Pierce supported the Compromise of 1850 and the Democrats appeared united behind him as their candidate. The Free Soil Party selected U.S. senator John Hale. 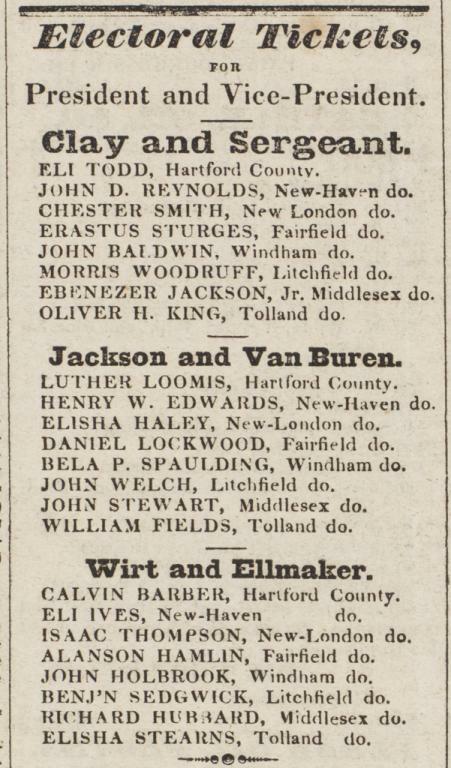 Since the parties had similar platforms regarding the slavery issue, the election centered on personalities. Despite Whig Party attacks on Franklin Pierce’s character, he won easily, receiving 234 electoral votes (50.8 percent of the popular vote) to 42 (43.9 percent) for Scott. Hale received only 5 percent of the popular vote. The election marked the end of the Whigs as a viable political party. Virginia cast its 15 electoral votes for Franklin Pierce. Because of the growing sectional crisis over the institution of slavery, there was intense interest in the 1856 election. In 1854, Democratic senator Stephen Douglas introduced the Kansas-Nebraska Act to encourage western settlement and the development of a transcontinental railroad. Under Douglas’s principle known as popular sovereignty, settlers in the territories could vote to decide for themselves whether to allow slavery in Kansas and Nebraska. The result was a bitter struggle between proslavery and antislavery factions to control Kansas—known because of its extreme violence as “Bleeding Kansas.” Many northerners were firmly opposed to the extension of slavery into these new territories. An additional issue in 1856 centered around a reaction against increasing Irish and German immigration to America. The American Party, also called the “Know Nothings,” had originated as a semisecret, anti-immigrant, anti-Catholic, and anti-Irish political organization. Northern Whig and Free Soil Party members and antislavery Democrats united to form a new Republican Party. They demanded a repeal of the Kansas-Nebraska Act and pledged to oppose any expansion of slavery. The new party’s presidential nominee was John C. Fremont, a former military officer and western explorer. The Democrats decided to bypass Franklin Pierce and Douglas and nominate the less-controversial James Buchanan for president. He had not been involved in the debate over the 1854 act and, although a northerner, was also considered to be sympathetic to southern causes. The American Party nominated Millard Fillmore as its candidate. 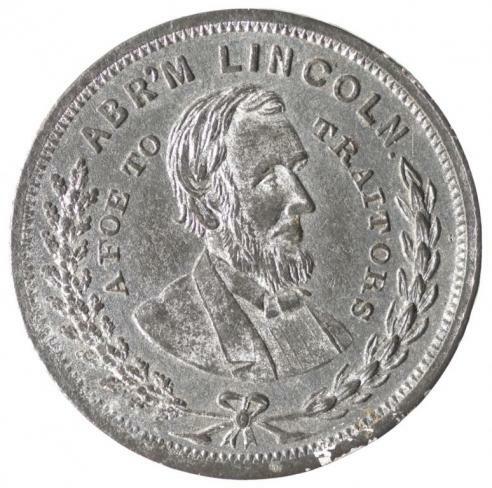 Although it lost some of its antislavery northern members to the Republicans,the American Party ran on the slogan “America For Americans” and promised to preserve the Union. Fremont had no support in the South and did not appear on the ballot in some states, while Buchanan had the support of the entire South, as well as several northern states. Buchanan received 174 electoral votes to 114 for Fremont. Fillmore received only 8 electoral votes (from Maryland). Virginia cast its 15 electoral votes for James Buchanan. 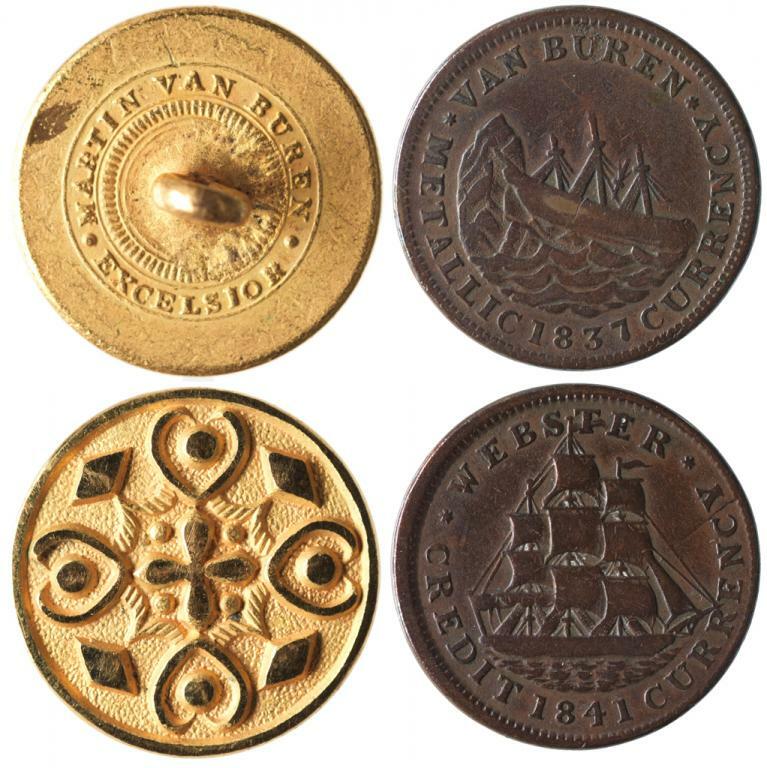 By 1860, all attempts at compromise over slavery and territorial expansion had failed, and a series of national events brought the sectional conflict to a crisis. In the Dred Scott decision of 1857, the Supreme Court ruled that Congress did not have authority to outlaw slavery in the territories, declared the Missouri Compromise unconstitutional, and decreed Kansas a slave state. Civil war between proslavery and antislavery groups continued in Kansas. In 1859, the abolitionist John Brown raided the arsenal at Harpers Ferry, Virginia, in an attempt to start a slave uprising. The controversy over slavery was the dominant issue in the 1860 presidential campaign. The first Democratic convention was held in Charleston, S.C. It failed to nominate a candidate because of disagreement between the southern and northern wings of the party. A second convention in Baltimore nominated Stephen Douglas on the popular sovereignty platform. Delegates from the southern states demanded that the federal government protect the right of slavery in the territories and walked out of the convention. The southerner Democrats nominated the current vice president, John Breckenridge, as their candidate. The Republicans met in Chicago that year. Although Abraham Lincoln did not attend the convention, his friends and supporters packed the hall and secured his nomination. The Republican Party platform opposed the expansion of slavery into the western territories but did not challenge the institution in states where it already existed. Although popular in the North, the Republicans received virtually no support in the south. The Constitutional Union Party, consisting of former Whig and American Party members, nominated former U.S. senator John Bell. Its platform did not mention slavery but called for maintenance of the Constitution, the Union, and the law. In the campaign, Republican Party strategy centered on presenting Lincoln as a rustic “man of the people.” Douglas became the first presidential candidate to actively make a personal tour of the country, speaking on his own behalf. Following tradition, the other candidates did not personally campaign. Though Lincoln received less than 40 percent of the popular vote and none from the south, he had a clear majority of the electoral vote (180 to 72 for Breckenridge, 39 for Bell, and 12 for Douglas). Douglas, however, did receive almost 30 percent of the popular vote. Between Lincoln’s election and his inauguration, seven southern states seceded from the Union and formed the Confederate States of America (four more states joined later). Jefferson Davis was elected to a six year term as its president in November 1861. Virginia cast its 15 electoral votes for John Bell. Despite arguments that the presidential election should not be held during a civil war, Abraham Lincoln was determined that it should not be postponed. His chances for reelection, however, appeared slim. The North was weary of the war with its massive casualties and no end in sight. In an effort to emphasize the preservation of the Union, Republicans joined forces with “War” Democrats and changed their name to the National Union Party. The party’s platform called for surrender by the South and a constitutional amendment to end slavery. Lincoln easily won renomination on the first ballot. War Democrat and former Tennessee senator Andrew Johnson was selected as Lincoln’s running mate. Not all Republicans agreed with Lincoln’s nomination. 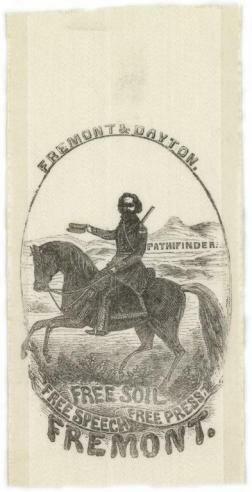 The more radical wing of the party favored John C. Fremont, but he withdrew from consideration. The Democratic Party also pledged to end the war. 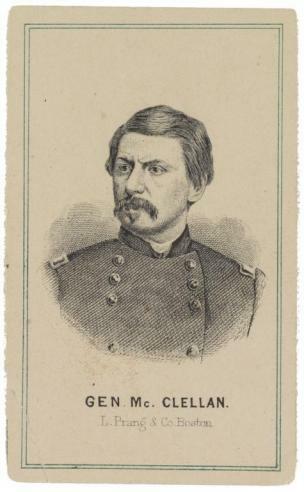 “Peace” Democrats nominated Maj. Gen. George B. McClellan, former commander of the Army of the Potomac, and called for a negotiated peace to restore the Union as it was before the war began. The campaign turned on positive results on the battlefield. Just before the election, Union victories by Generals Sherman and Sheridan at Atlanta and in the Shenandoah Valley respectively boosted the northern public’s morale and restored their faith in the Lincoln administration. 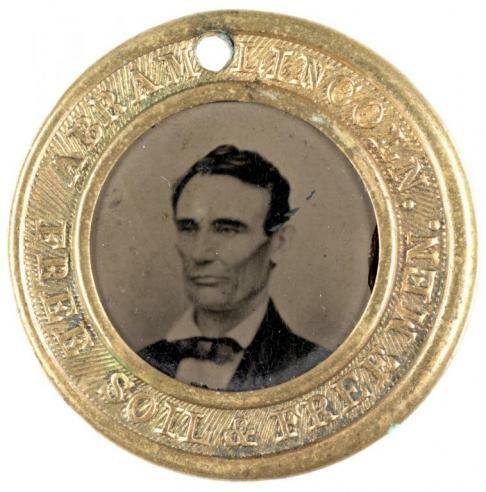 In the election, Lincoln won in a landslide, with 212 Electoral votes to 21 for McClellan. Virginia, along with all of the other members of the Confederate States of America, did not vote in the 1864 election. In April 1865, five nights after Robert E. Lee’s surrender of the Confederate Army of Northern Virginia at Appomattox, which ended the war in Virginia, Abraham Lincoln was assassinated. Vice President Andrew Johnson was sworn in the following day and as president immediately faced the problem of bringing the Confederate states back into the Union, as well as dealing with former southern slaves. Constant battling between the president and the radical Republicans in Congress eventually led to impeachment proceedings in February 1868. Johnson was ultimately acquitted by one vote. The postwar reconstruction of the south was the dominant issue of the 1868 presidential election. 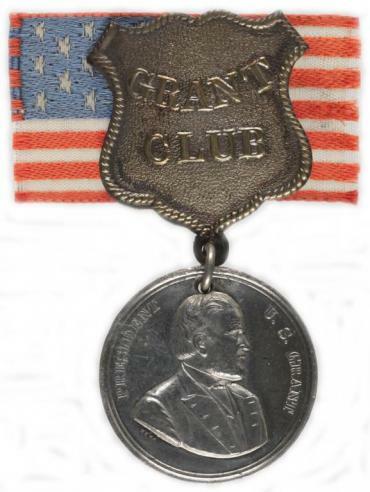 Only a few weeks after the impeachment trial of Andrew Johnson, the Republican Party met to nominate Union war hero Ulysses S. Grant as its candidate. The radical Republicans, who dominated the party, promoted a platform demanding black suffrage in all of the southern, reconstructed states, though northern states could individually decide this issue. The Democratic Party took 22 ballots to choose a reluctant candidate, Horatio Seymour, who initially refused the nomination. 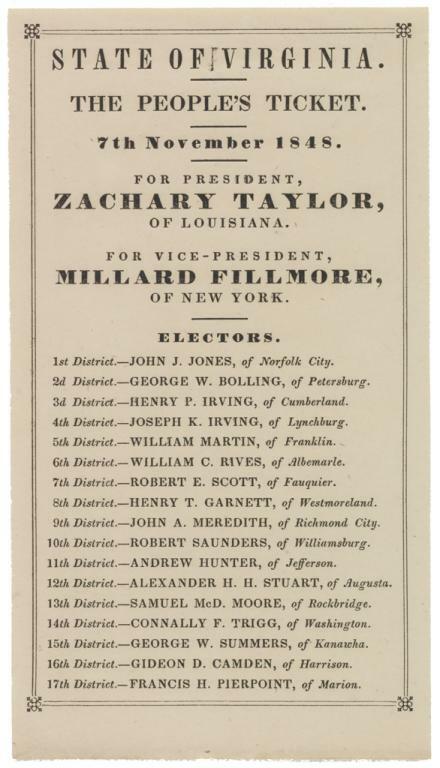 The Democratic platform opposed radical reconstruction and called for restoration of all rights to southern states with voting privileges to be determined by the citizens of each state. Despite threats, violence, and the formation of such groups as the Ku Klux Klan, more than 400,000 blacks voted in the election. A vast majority of their votes were cast for the Republican candidate. Grant was easily elected with 214 electoral votes to 80 for Seymour. The Republican Party’s popular vote majority was only 310,000, indicating how crucial the black vote had been to Grant’s election. Texas, Mississippi, and Virginia had not yet been readmitted to the Union and did not vote. Although he personally was not implicated, President Ulysses S. Grant’s first term was marked by scandals and corruption. Nevertheless, the Republican Party nominated Grant for reelection and called for federal protection of black rights. Henry Wilson replaced Vice President Schuyler Colfax as Grant’s running mate. Not all Republicans agreed with the choice of Grant. Calling themselves the Liberal Republicans, and demanding a platform concerning civil service reform and an end to federal troop occupation in the South, this reform group nominated Horace Greeley, the former editor of the New York Tribune, for president. The Democratic Party had no viable candidate. Despite the fact that Greeley’s newspaper had been mostly anti-Democrat, the Democrats joined forces with the Liberal Republicans in supporting Greeley and vice presidential candidate Benjamin Gratz Brown. In the 1872 election, Victoria Woodhull, representing the Equal Rights Party, became the first woman to run for president. Her running mate was Frederick Douglass, the former slave and famed abolitionist. The election was not close. Grant received 286 electoral votes to 66 for Greeley. After the general election, however, Greeley’s wife died, and he was committed to a mental institute where he died before the electoral votes were cast. As a result, his electoral votes were split among several other candidates. Virginia, in its first election since being readmitted to the Union, cast its 11 electoral votes for Ulysses S. Grant.